1 Who is Joan Lin? 6 Do You Know About Joan Lin’s Personal Life, Marriage, Husband, Children? Born Joan Lin Feng-Jiao on the 30th June 1953 in Taipei, Taiwan, she is an award-winning actress, who came to prominence during the ‘70s, starring in a number of box-office hits of the Taiwanese and Hong Kong film industry, such as “Shaolin Long Arm” (1974), and “A Story of a Small Town” (1979), among many other films. Her career spanned ten years, during which time she appeared in over 80 films. She is also known to the world as the wife of actor Jackie Chan. 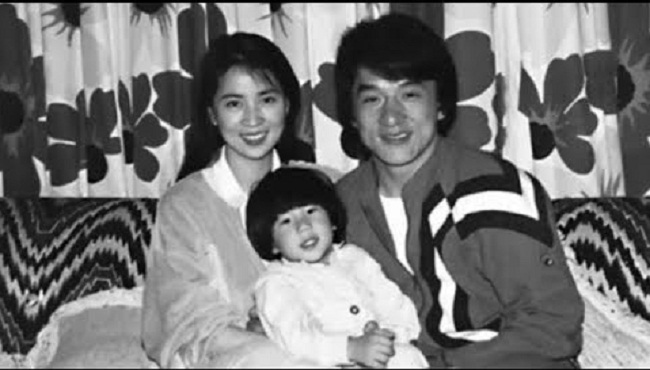 #成龍 #JackieChan and his beautiful wife #JoanLin ?? Growing up in Taipei was rather hard for Joan; being the second of five children, Joan had to leave school when she was only 12 years old, as her family was poor and she had to find a job to provide for them. She decided to try herself in the show business, particularly acting, and it eventually turned out to be a rather smart move. Determined to rise above the poverty that her family lived in, young Joan started auditioning for roles in Hong Kong and Taiwanese films. It was in 1972 when she was 19 years old that she made her acting debut in the kung-fu film “The Hero of Chiu Chow”, and stunned the critics and casting producers which resulted in new leading roles. Gradually, Joan’s career improved and she became more popular, more so after 1976 when she starred in the popular comedy film “Coffee, Wine & Lemon Juice”, next to Han Chin and Chuan-Ju Wang. Year after year, Joan was becoming better known within the Hong Kong and Taiwanese film industry, making her a star actress. 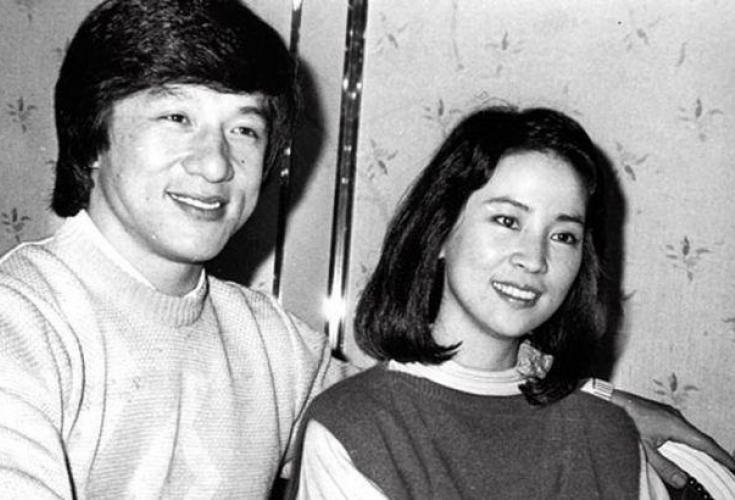 In the second half of the ‘70s, Joan continued her dominance and became one of the most popular actresses in Hong Kong, and together with her future husband, Jackie Chan starred in several box-office hits. In 1977 she starred in the film “Hi Honey!” and the romantic drama film “Love Rings a Bell”, while also had the lead role in another romantic drama film, “Let’s Fall in Love”. Her most notable role came in 1979, when she starred in the romantic drama film “The Story of a Small Town”, for which she won Best Leading Actress at the 16th Golden Horse Awards. She remained in show business until the early ‘80s and until then starred in several other box office hits, such as the comedy film “Good Morning, Taipei”, then the historical drama “The Battle for the Republic of China” in 1981, and ended her career with the leading role in the horror film “Devil Returns” in 1982. When she launched her career, Joan had in mind only one thing; provide for her family. Well, she managed to achieve that and much more. She became an acclaimed actress, popular all across the world, featuring in over 80 films, which steadily increased her wealth. So, have you ever wondered how rich Joan Lin is, as of mid- 2018? Sources estimate that her net worth is over $5 million, earned through her acting career and no doubt boosted by her husband. Do You Know About Joan Lin’s Personal Life, Marriage, Husband, Children? Joan met Jackie Chan in 1981 when they worked together on a film. After only a year, the two married and their son Jaycee was born that same year. According to reports, Jackie didn’t want to marry Joan but had to when she became pregnant with their son. Joan retired from the show business to focus entirely on her husband and their newborn child. As the years went by, Joan decided not to return to acting, and became interested in other things. Her son Jaycee and her husband Jackie haven’t been on good terms for quite a long time now, and she and Jaycee live together in Taipei. Now that we have covered all the major details about Joan, let’s share some information about her son. Born as Jaycee Chan Jo-Ming on the 3rd December 1982 in Los Angeles, California USA, he is an actor and singer, best known to the world for appearing in the films “The Drummer” (2007), “Invisible Target” (2007), and “Sun Also Rises” the same year. #意外的戀愛時光# #Love Speaks# 倒數3天！Count Down 3 More Days To Go! The son of Jackie and Joan, it was only a matter of time until he launched his own career, however, he was primarily focused on education, finishing high school firstly, and then enrolling at the College of William and Mary in Williamsburg, Virginia, but his poor grades stopped him from continuing, and Jaycee launched his career instead. He started as a singer, releasing the debut album “Jaycee” in 2004, but then became more focused on acting, and starred in such films as “The Drummer” in 2007, and “Mulan: Rise of a Warrior” among others. Back in 2014, he was arrested for drug possession and spent six months in jail. Since coming out Jaycee has starred in the film “Railroad Tigers”, and is now working on the film “The Diary”. Born Chan Kong-sang on the 7th April 1954, in Victoria Peak, British Hong Kong, he is an actor, producer, film director, singer, and martial artist. Jackie has featured in over 130 films, and has won over 30 awards. Some of his most successful films include the “Rush Hour” film series, then “Police Story” film series, “Mr. Nice Guy”, “The Spy Next Door”, and many other films. In addition to a rather rich filmography, Jackie has released 12 studio albums. 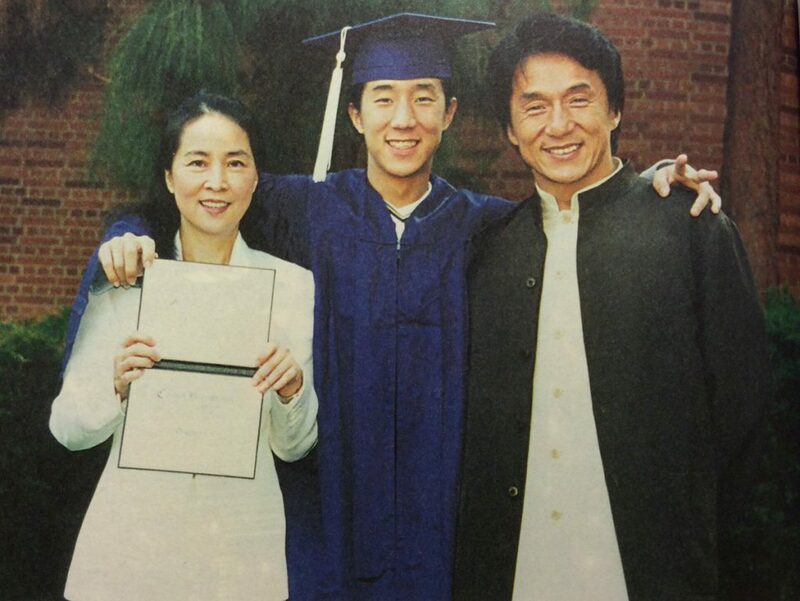 The son of Charles and Lee-Lee Chan, refugees from the Chinese Civil War, Jackie went to Nah-Hwa Primary School, but he failed in his first year, so his parents withdrew him from school, and it was in the early ‘60s that he started his rigorous training in martial arts and acrobatics at the China Drama Academy, a Peking Opera School, run by Master Jim-yuen. I'm promoting The Foreigner in USA and I'm so happy to see so many fans! Thanks so much for your support. But just now, I was so shocked because I saw a fan riding a bike and got hit by a car! Please please please… be safe, be sensible, be careful! I'm so worried after seeing the accident. Please be safe. Love you all. His career started when he was only five, but it wasn’t until his adolescent years that he started gaining more notable roles. His first lead role was in the film “Little Tiger of Canton”, released in 1973, and the rest is history. Jackie Chan’s net worth is estimated at $350 million.